Penny Stock Investing - Where Should I Start? Penny Stock Investing – Where Should I Start? If you have been interested in penny stock investing for quite some time and don’t know where to start, this article will present the basics of penny stocks for dummies or down to earth, fool proof approach to investing in small cap stocks. First of all, set aside a penny stock investing fund that could be anywhere from a couple hundred to a few thousand dollars for starters. Some penny stock brokers or online discount trading places might set an opening balance limit that you must comply with. Keep in mind that your penny stock investing portfolio should not by any means exceed 10% portion of your overall investment portfolio due to high market volatility of penny stocks. 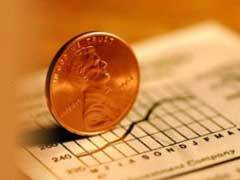 The next step in penny stock investing is finding the actual penny stock broker or an online trading place. In case you are a small budget penny stock investor, you should definitely avoid hiring a penny stock broker, whose excessive trading fees might chip into your earnings. Read our article on top 10 places to buy penny stocks online where we list reputable and discount online resources to start trading penny stocks. Before you actively start penny stock investing, get yourself educated on how to research the best penny stocks to buy and what financial criteria to look for in penny stock companies. You can find a plethora of information on specific penny stocks online or by subscribing to a wide variety of publications. In addition, knowing when to sell is one of the most important penny stock tips that are going to make or break your penny stock investing experience. To round up our article on how to start penny stock investing, it’s important to emphasize that penny stock market is a highly volatile environment where you can quadruple or lose all your investments. Knowing the rules of the penny stock trading game is your foundation for success.